This is original Gorka 3 from Bars. Main feature of this Gorka is balance. It have very low price, and very good quality and fabric. 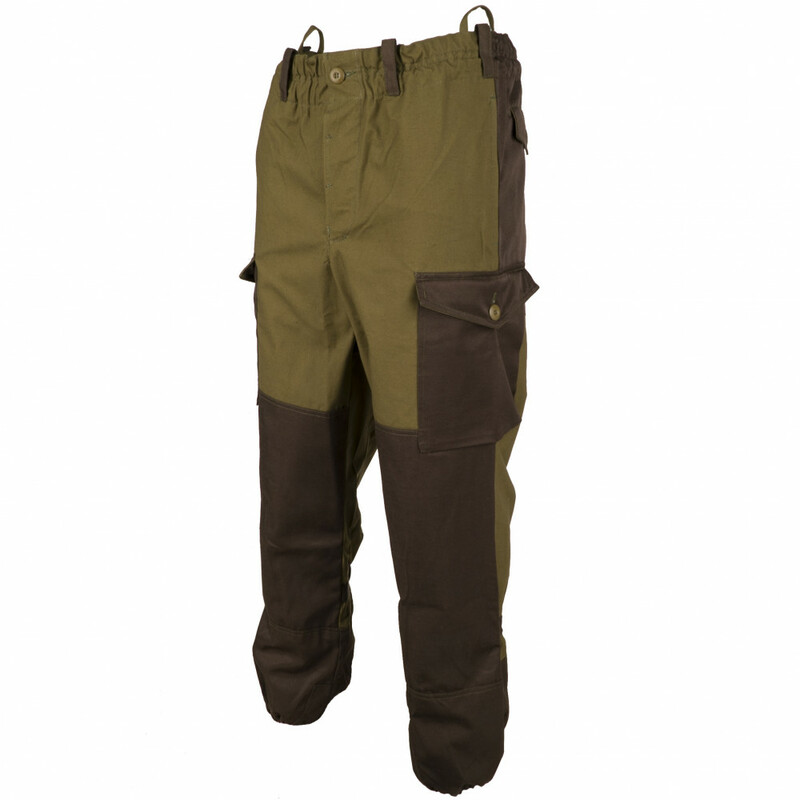 It will works during Autumn, Spring and even cold winter (with underwear). 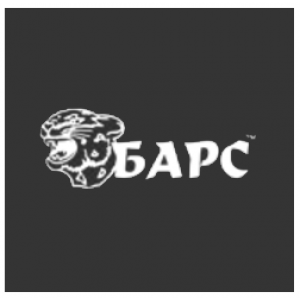 Bars is well known Russian Company based in North Kaukaz and producing Gorka Suit for Special forces like (MVD, FSB, VDV and GRU). Also can be used during rain or wind day. This gorka is analog of SSO, but with not so great quality, but with much better price. 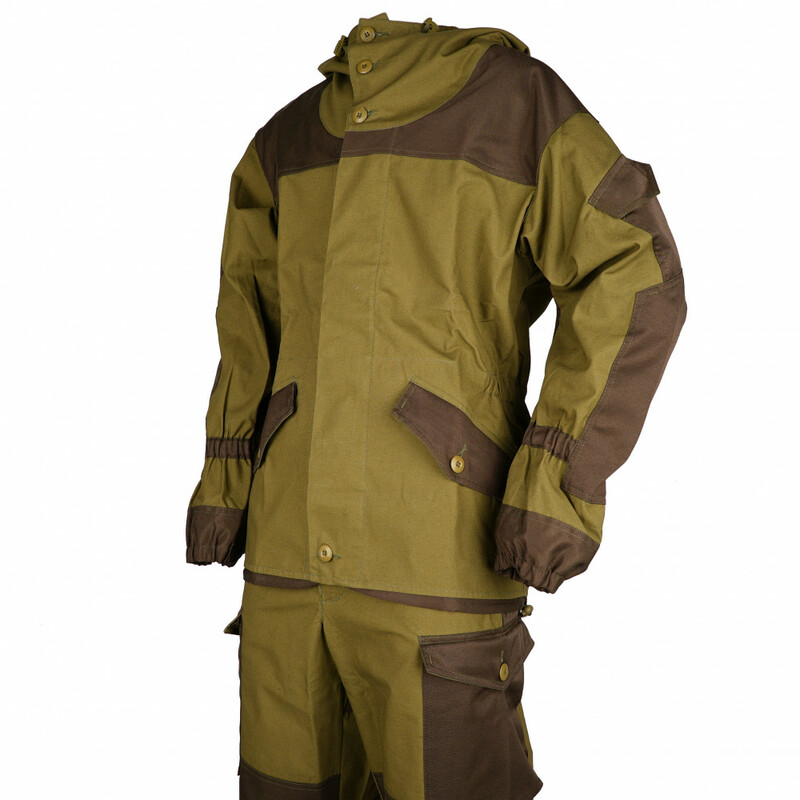 Main difference between Gorka 4 Bars and Gorka 3 bars - Gorka 4 made have Anorak Jacket (one big pocket on chest). NOTICE! We sell only Original Bars Gorka 3. Be careful, there are a lot of China low quality copies with lower price. 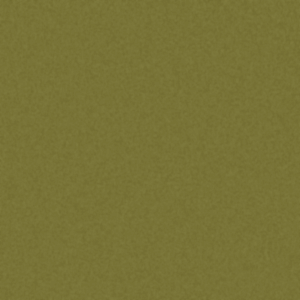 Shade of Gorka can be various more khaki, or more olive. It's depend on fabric and shipment. NOTE! Color on photo can be also various, depending on monitor type, Operation System and configuration of Mobile phone or PC. 3. Great balance of quality and price. 5. Special impregnation. 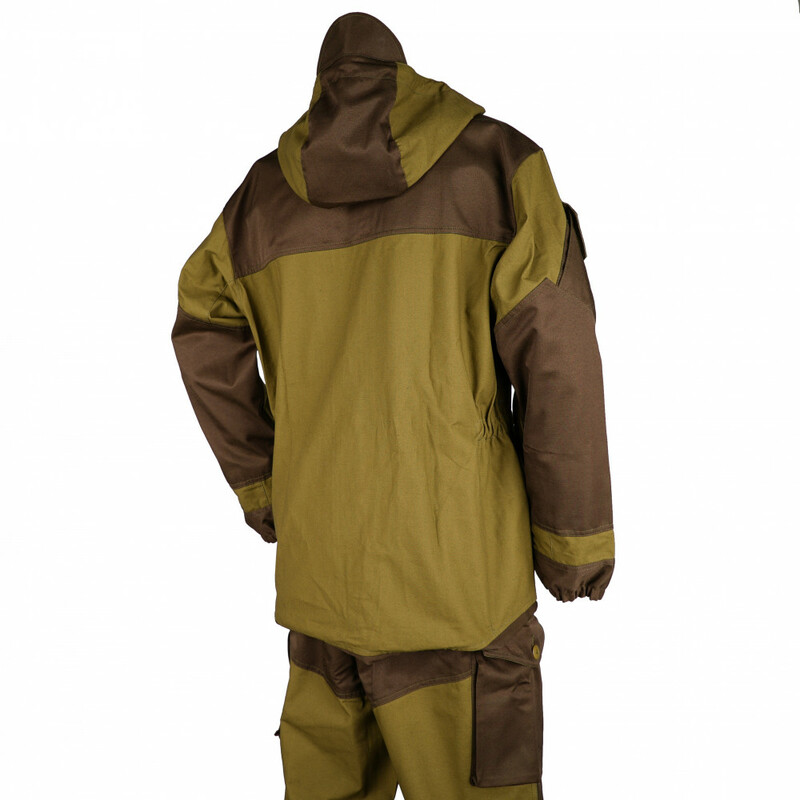 This suit almost full water and wind proof, so you can use it in any weather (Rain, Snow, Sunny). Color option mean color of the "insertions". 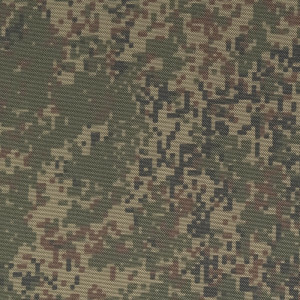 Bars gorkas earned its reputation over the years of faithful service, excellent quality performance combined with the simplicity of a rational, well-chosen material, combined with a competent tailoring - made these gorkas choice not only ordinary soldiers but also the most elite special forces. "When life may depend on the quality"